Hanover Primary School | Can you Help Hanover Play? 05 Oct Can you Help Hanover Play? One of our school priorities this year is ‘developing play’. We have already enhanced the outdoor play provision for EYFS and Key Stage 1 children, and now we are looking at the rest of the school. 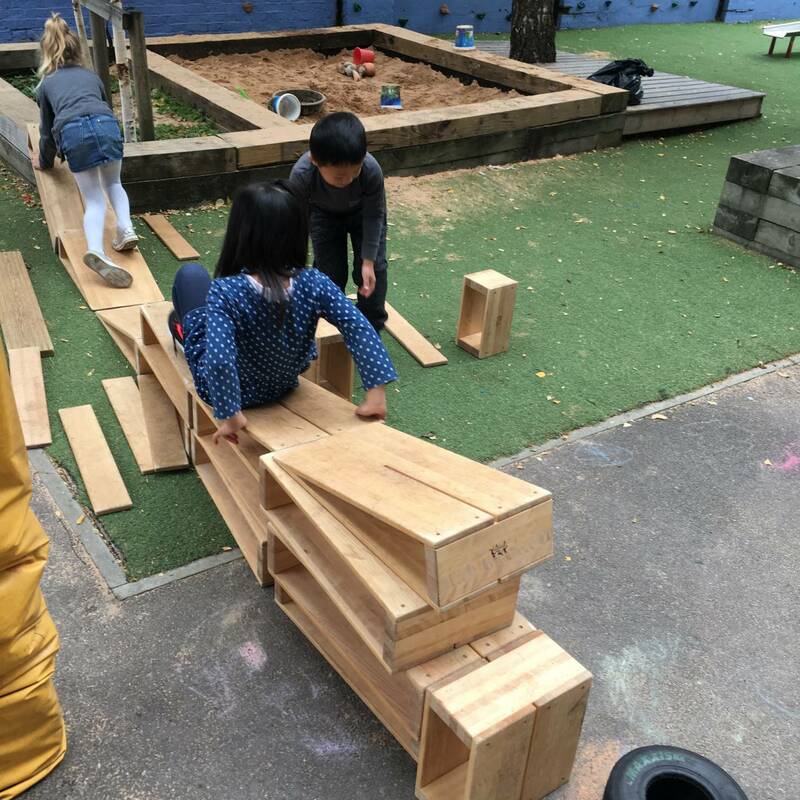 Building with large wooden blocks has been a hugely popular activity for our younger children, offering endless possibilities for making almost anything the children’s imaginations can come up with! We want this to continue for our older children and so we are launching a fundraising bid to buy two sets of Outlast Blocks. These blocks offer more challenge because they are designed to be fixed together with holes and pegs (a bit similar to Lego). They include pieces which can be used as wheels and chutes – they’re designed to get wet so can be used to make water channels as well as to roll balls down. Playing with these sorts of blocks enables children to collaborate, problem solve, be imaginative and creative… all skills we want our children to have. They are a high quality product which will last for years – and so they are expensive. Two sets will cost £6660 – and we are aiming to raise this amount by Spring 2019. We would love to hear your ideas! We’ll be keeping a record of the money we’ve raised so far, plus stories of where it’s come from, in the school foyer. Together we can do this!